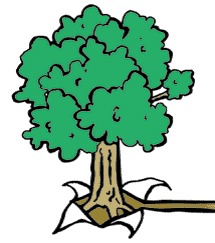 Whether training new saplings or redirecting well established roots, Tree Support Straps give added support to growing trees. 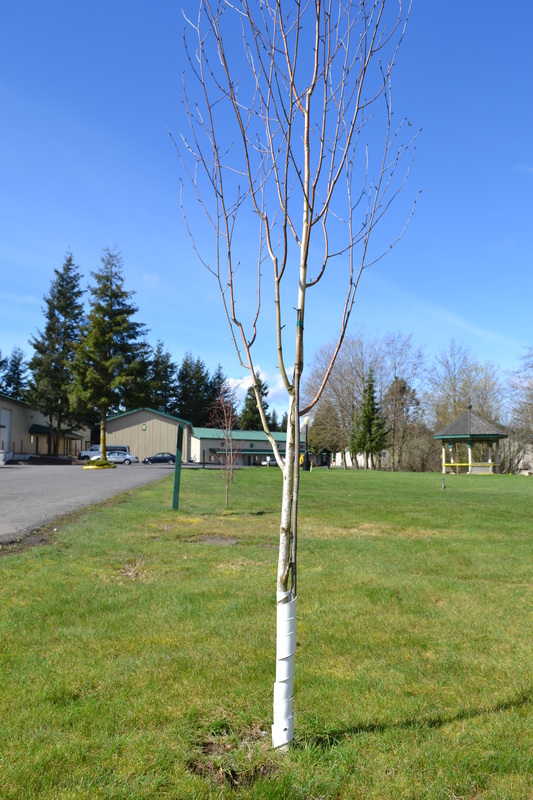 Easily installed and weather resistant, Spiral Tree Guards are a durable and cost effective option for tree protection. Tree Circles adequately control the vast majority of weeds and grasses, minimizing landscape maintenance. You can easily install, store and reused each season. For recommendations and more information, please see Product Description below. 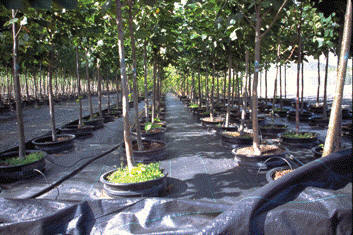 American Nettings & Fabric offers 3 Tree Products: Tree Support Straps, Spiral Tree Guards & Tree Circles. 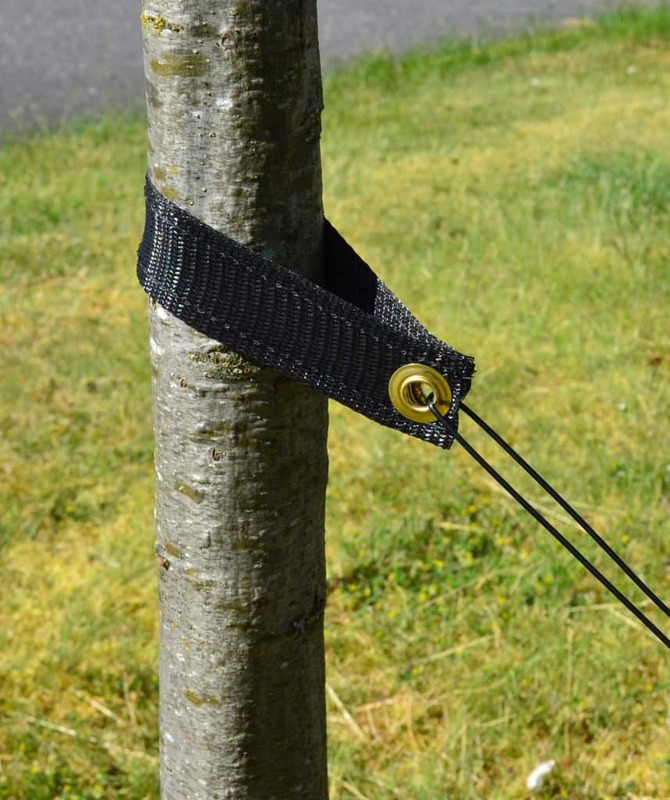 Tree Support Straps can be installed using any kind of cord/wire/rope to an anchor stake or other securing method. For the easiest installation, we recommend using one of our Poly Line Packs, which includes Poly Line, Poly Line Tensioners and Anchor Stakes. To start, place your anchoring stake 2-5 feet from the base of the tree, depending on the size of the tree and how much support is desired. 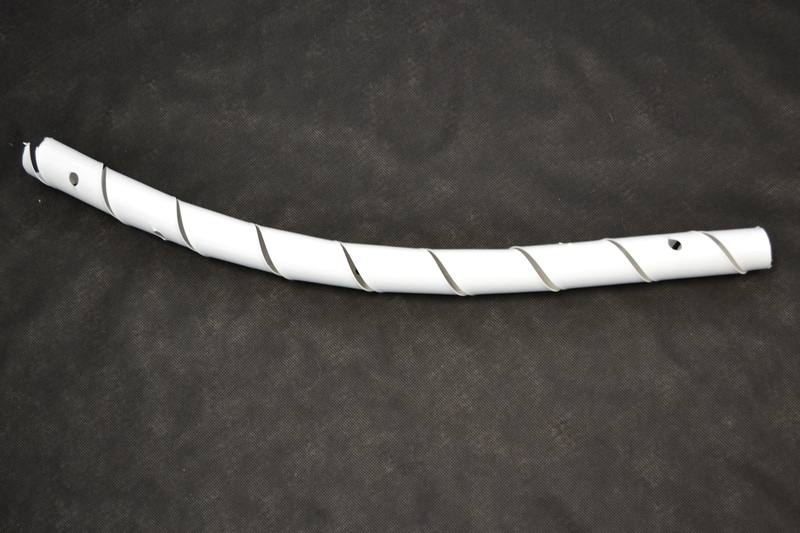 Then, wrap the Tree Support Strap around the trunk of the tree at a height that creates approximately a 45 degree angle to the stake. 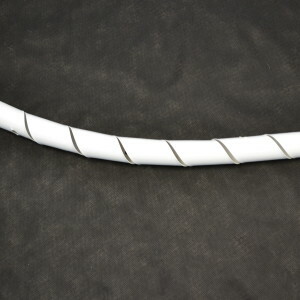 Take your Poly Line, wire, cord or rope and string it through both grommets. Maintaining tension, secure the line to the anchor stake. Tighten to desired support level. 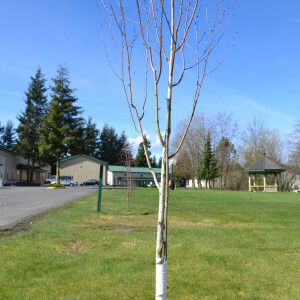 Easily installed and weather resistant, Spiral Tree Guards are a durable and cost effective option for tree protection. 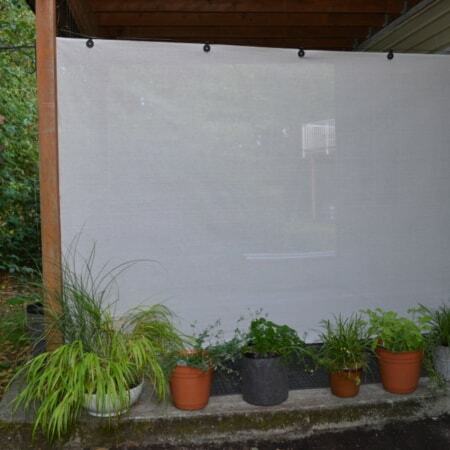 They are 24″ white vinyl with ventilation holes that prevent harmful heat build-up around the base of the tree. 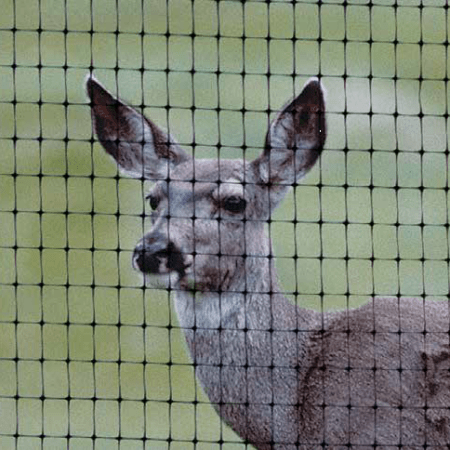 They help protect trees from sun scald, mechanical damage and rodents such as rabbits, voles and mice, among others. 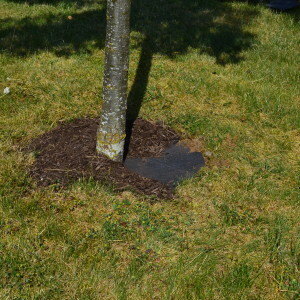 Tree Circles help keep weeds and most grasses at bay around the base of trees. They work wonders for minimizing landscape maintenance. Clear debris and weeds from around the base of the tree. Remove all vegetation to bare soil. 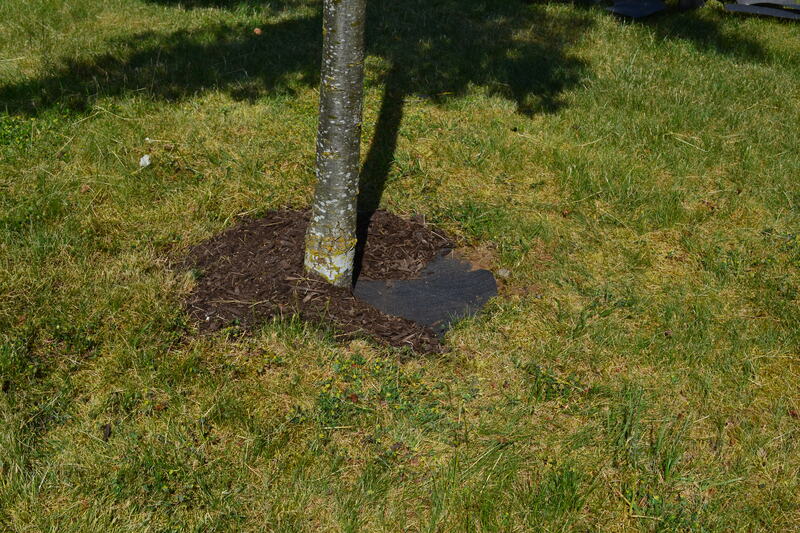 Place the Tree Circles around the base of the tree, making sure it covers the area adequately. 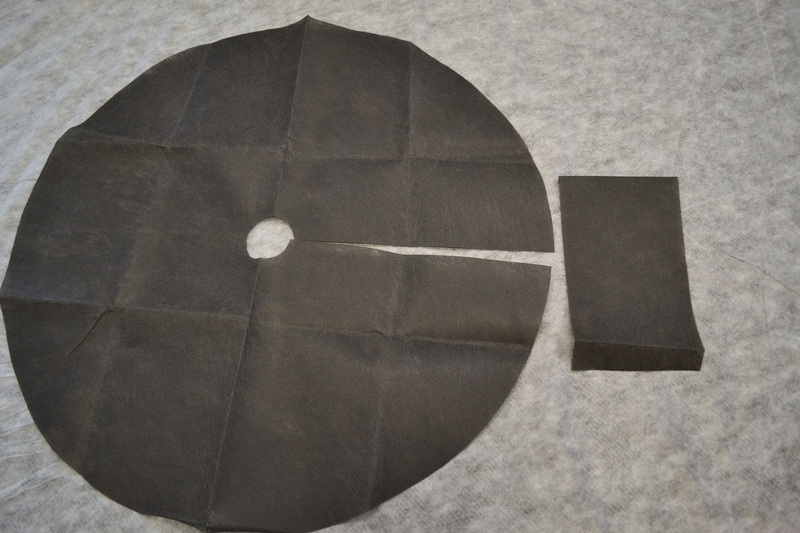 If the diameter is too large, simply cut the fabric to size. 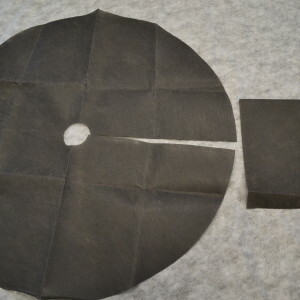 Use the fabric strip to cover the long slit in the Tree Circle. Cover with at least 3 inches of bark mulch, aggregate, or other landscaping medium, to guard against sunlight degradation. 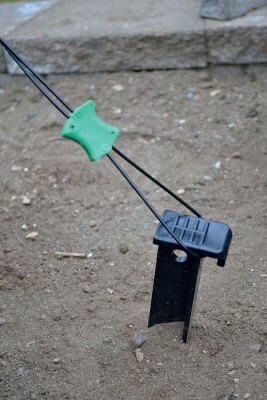 Use with Fabric Staples to secure the Tree Circles, if needed. 12", 20", 32", 24", 36"